Hi, I got now, totally fresh stuff! Just delivered to my hands! 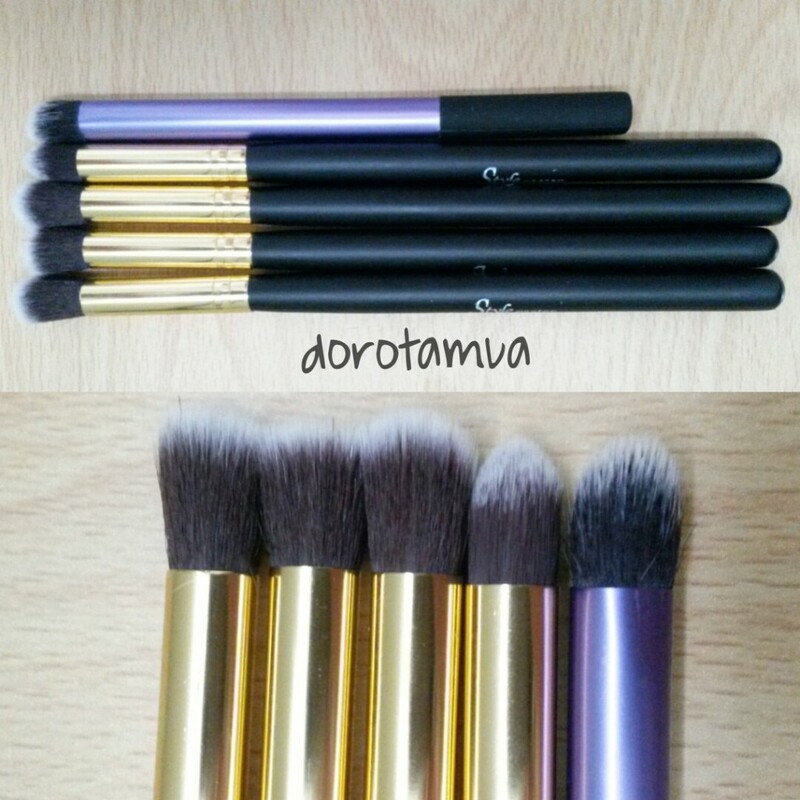 Brush set made in Hong Kong! I have set of brushes from Royal and Langnickel, Gosh, Inglot, Sephora, Sigma, Real Techniques and few more small brands. 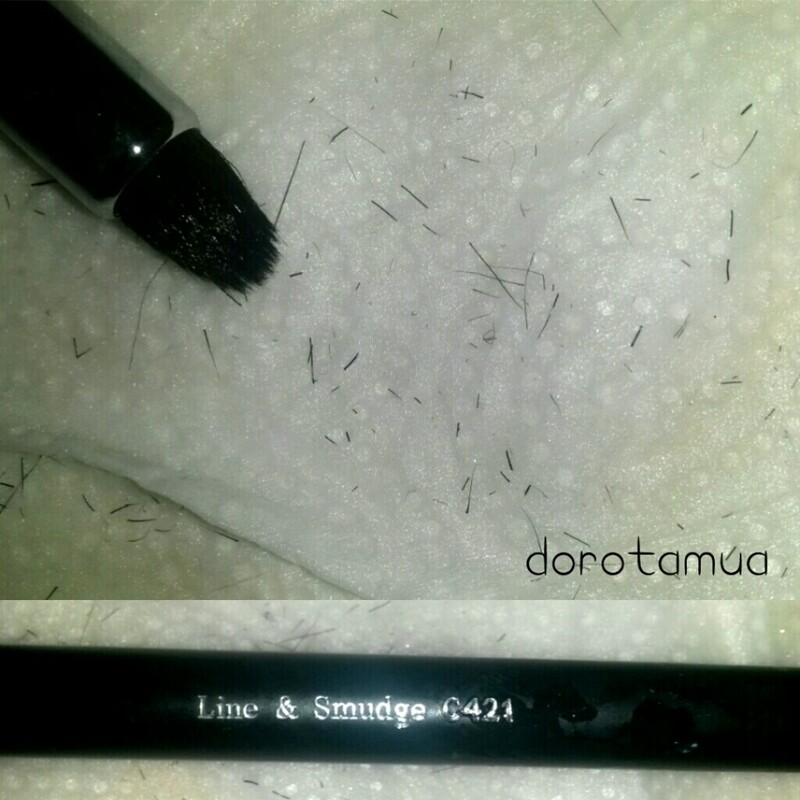 Unfortunately from all brands only Inglot, MAC and Real Techniques, Sigma shows high quality of bristle, softness, durability… all other failed – (some failed even in less than 6 month from buying, just after few using and only few cleaning!) I never bought for my kit Crown Brush brushes – their bristles looks promising but handle of most brushes are far too short for me. Example of my common problem for my Royal and Langnickel brushes (and so far my biggest disappointment!) – shredding (note: its happens to all my brushes from Silk series! Essential series are spotless, and even hair not fell of it ; for all other brands typical is to lose hair bristles). So before I will decide to buy more expensive models eg. Hakuro, MUFE I decided to give a try some cheap models sold trough ebay…as I noticed that many MUAs start supplying their kit in there – and some models looks like this branded sold in UK…. So here are my new babies! I have ordered small set for test, so if this would survive a while – then I get some bigger sets. It cost me £3,75 (free delivery!) 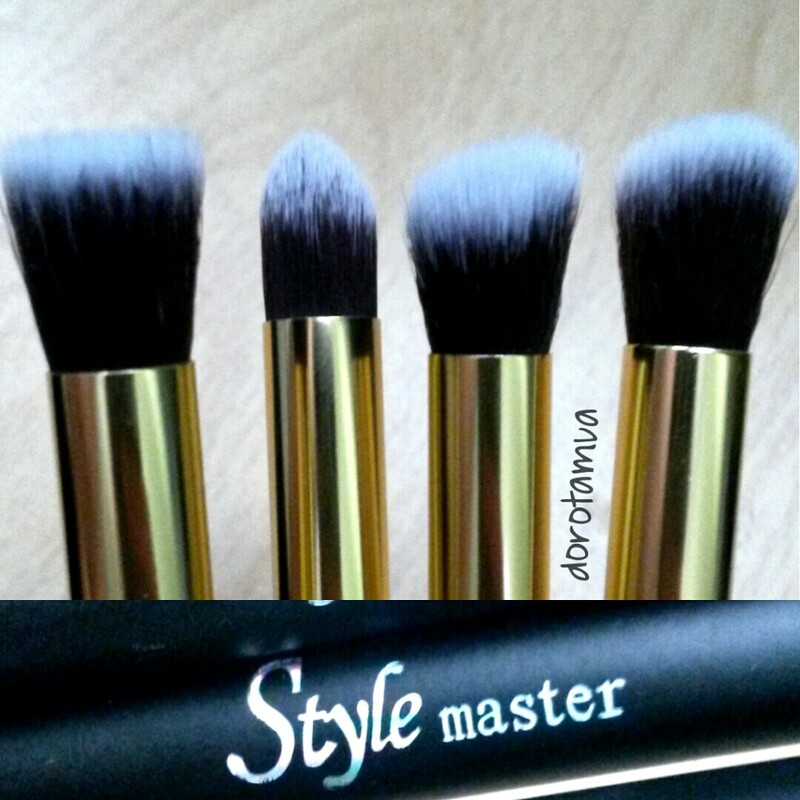 for set of 4 brushes…although all got printed logo but its really no name set. First impression: good quality of handles, paint. 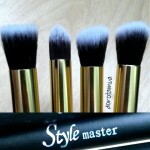 Bristles are very, very soft – just as it should be for blending! – in overall looks quite good, very impressive! « Review: Blush and Bronzer – by Avon!